Sunday school will resume on Sunday, September 16 Classes for all ages are offered during our Sunday school hour from 9:15-10:15 am from September through May. We take a break from Sunday school during the summer months. Come and grow in your faith with us. Kids classes include Kindergarten-3 grades; 4-6 grades; and middle school and senior high. All youth grades 6-12 are invited to the church every Wednesday evening for supper, games, music, and Bible learning, resuming on Wednesday, September 12 from 6-8 PM. There is no charge to attend and friends are always welcome to join us. We desire to help kids grow in their faith and to apply Bible principles to their lives. 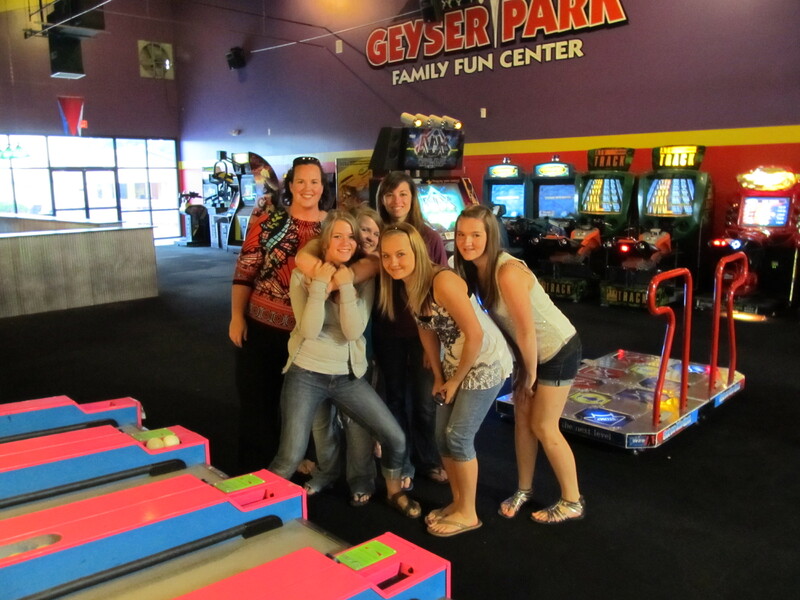 The youth group meets regularly from September through May and periodically during the summer months. Vacation Bible School (VBS) is held the first full week in June and is available to all children ages preschool through the 5th grade. Watch for more information about VBS as summer draws near. Our youth group will be traveling to San Diego during the summer of 2018 to do a mission trip through Youth Works. While in San Diego we wil he working at local sheltes for the homeless and being introducted to a variety of ministries offered in that area. If initerested in going with us, please let Pastor Dave know. 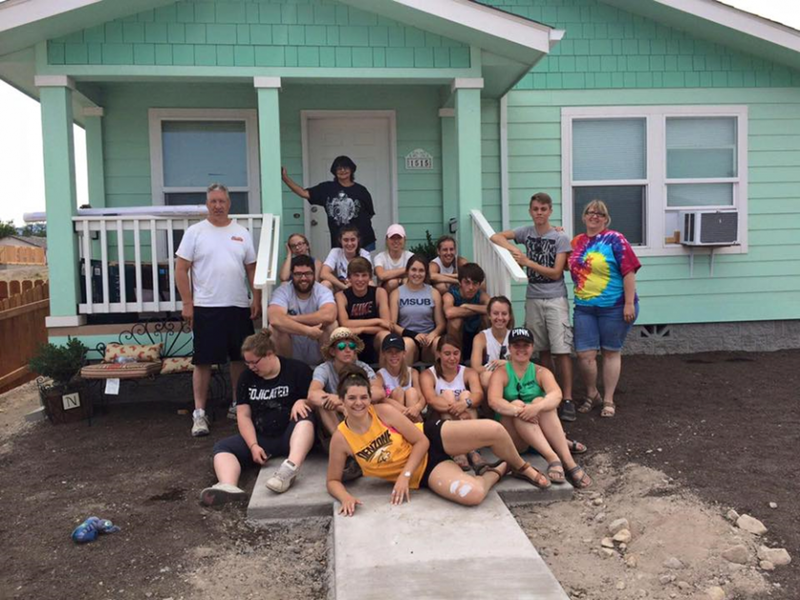 19 youth and adults traveled Northern California from June 29-July 6 to work in Weed, California, a town that we heavily damaged by a wildfire last September. We helped with the rebuiding efforts around this community. 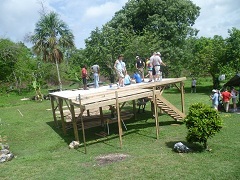 26 youth and adults from our church traveled to Belize in Central America from June 9-17, 2012. 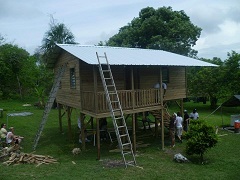 While we were there we built a house for a very poor family in the Cayo District. 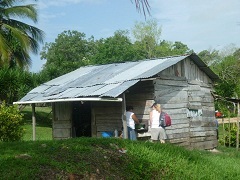 It was a life changing trip as we make a difference in this special place. We encourage all children and youth to join our great summer camping program at Westminster Spires Camp, located just south of Red Lodge. Camps are age appropriate and offer a lot of fun and faith learning. 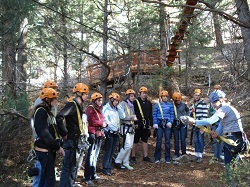 To learn more about our camping program visit our Presbytery's website at www.yellowstonepcusa.org. 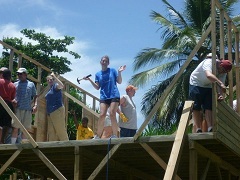 15 youth and adult chaperons traveled to Seattle at the end of June, 2011 for our summer mission trip. We worked with several mission agencies, including the Union Gospel Mission and Northwest Harvest Food Bank. 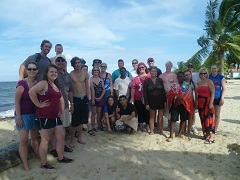 This was a life changing trip for these youth and adults. We also spent time at the Seattle Center, Space Needle, Seattle Mariners game (we witnessed one of their rare wins!!) and Pike’s Place Market. Confirmation, taught by Pastor Dave, is offered every Wednesday for youth who want to learn more about the Christian faith. Confirmation is offered to youth grades 8 and up. We meet at the church from 6-8 PM for a meal and a time to learn more about our faith. 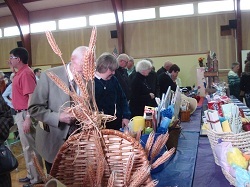 These youth work throughout the school year on various projects, with Confirmation Sunday being celebrated in April.